It’s more important than ever to brush and floss regularly when you have braces, so the teeth and gums are healthy during orthodontic treatment. Patients who do not keep their teeth clean may require more frequent visits to the dentist for a professional cleaning. Adults who have a history of gum disease should also see a periodontist during orthodontic treatment. 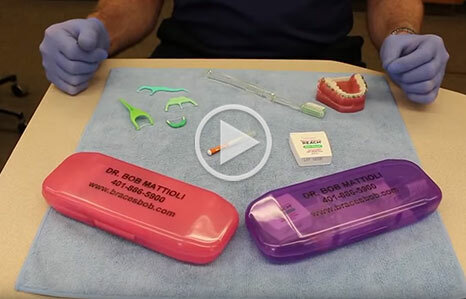 Watch the video below on the proper care of braces during orthodontic treatment.